Once upon a time I lived with my pet a chocolate brown dachshund. She lived happily for many years and today stays in my thoughts in spirit. The only thing I can imagine right now is that the both of them keep coming back in spirits to remind me of the good times I had with them. 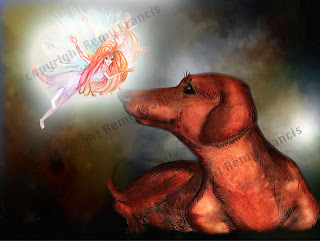 Glad to make this as an illustration post for "Spirit" on Illustration Friday. 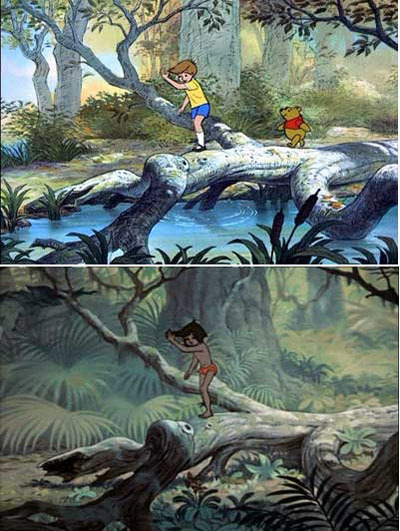 A picture discussing how Disney has used the same background for "Winnie the Pooh" and "The Jungle Book". I wonder what you think about re-using one's own creative in different combinations after period of time. Thanks for stopping by. Do come back to update yourself with similar discussions. Last week the Illustrators participative community site had a theme to post for Protest. Thanks to work...I missed last weeks commitment to submit along with 100s of Illustrators from around the world. Nothing like having a topic for our personal practice every week. 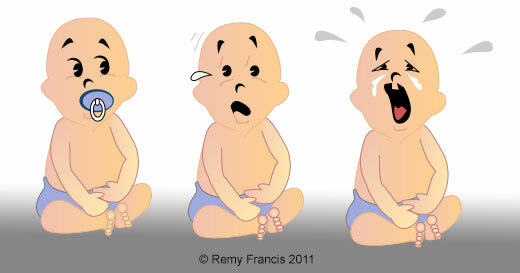 So I had the following illustration which I had made a couple of years ago as a part of an infographic. The kid featured here was a good portrayal for Protest...and I named it the Protesting Child. 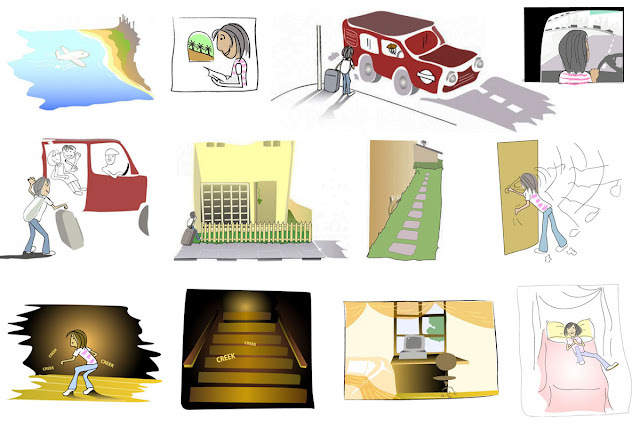 This was wholly a Vector Illustration made out on an emergency deadline. Thank you for participating in my conversation. I am back to make a submission for this weeks Illustration Friday. This weeks theme being travel and myself being on a part-holiday part work trip, reminds me of my unforgettable holiday to Pasadena back in 2005. This strip illustrates my adventure from the point of landing at the LAX airport to taking an airport shuttle, finding my host's house and finding my way to my ever-welcoming guest room Mk had prepared for my stay. Read this travel article here. Pleased for IF giving yet another opportunity to bring another illustration to light. This is where I share my passions and illustration in Kids themes / Stories as a registered artist in Dubai Media City. This is a blog which showcases original Children's illustration, and pieces already published or in the process of broadcast. A lot of creative work, passion, dedicated time goes into the creation of these pieces and it is an appeal from the author to support her work by not encouraging the copy and reproduction of the same.